Cumbria’s Police and Crime Commissioner, Peter McCall, has launched his consultation on whether residents are willing to pay more towards policing through their council tax. As part of his responsibility for setting the budget for Cumbria Police, the Police and Crime Commissioner consults residents on the amount they would be prepared to pay towards policing through their council tax. This year he is asking whether residents would be willing to pay 1.92% more per year – which represents £4.23 for a Band D property, or just over 8p per week. The results from the consultation will inform the Commissioner’s decision on the level of council tax precept for 2018-2019 policing budget. 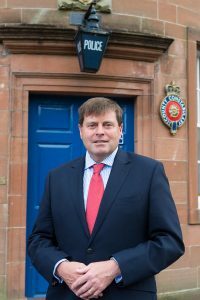 Police and Crime Commissioner Peter McCall said: “I would like to know how you feel about how much you pay towards the funding of policing services, and how you would feel about increasing the policing element of your council tax next year. I am therefore encouraging you to take part in a short survey on my website, or you can complete a paper copy. Details on how you can do this are set out below. “I will also be seeking the views of the Chief Constable and Police and Crime Panel before making my decision. If you prefer a paper copy of the survey, please contact the office as per the details below. Stuart Walker Photography 2016Alternatively, you can email your views to the Commissioner at at commissioner@cumbria-pcc.gov.uk or write to him at: OPCC, Police Headquarters, Carleton Hall, Penrith, Cumbria CA10 2AU.